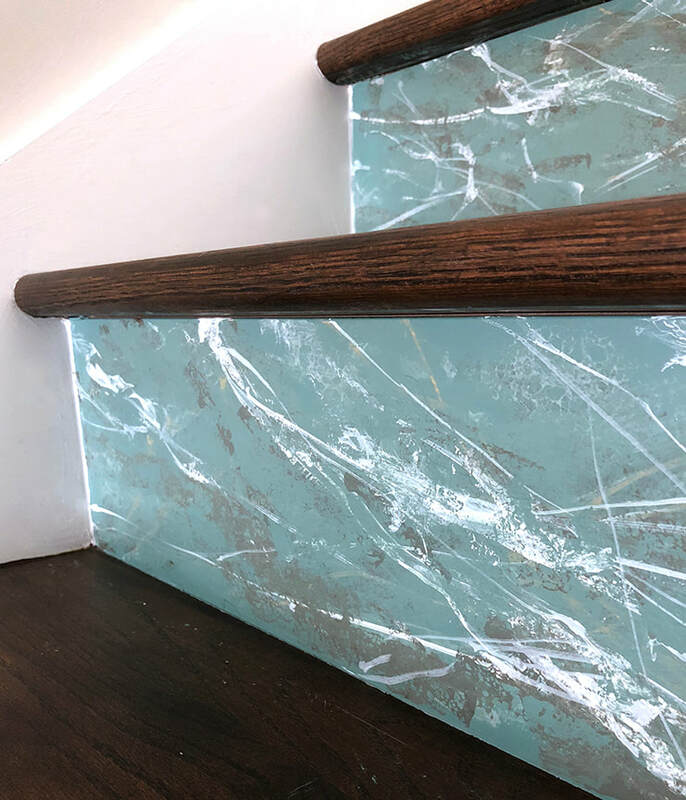 This client requested I paint her staircase as muted turquoise faux marble. 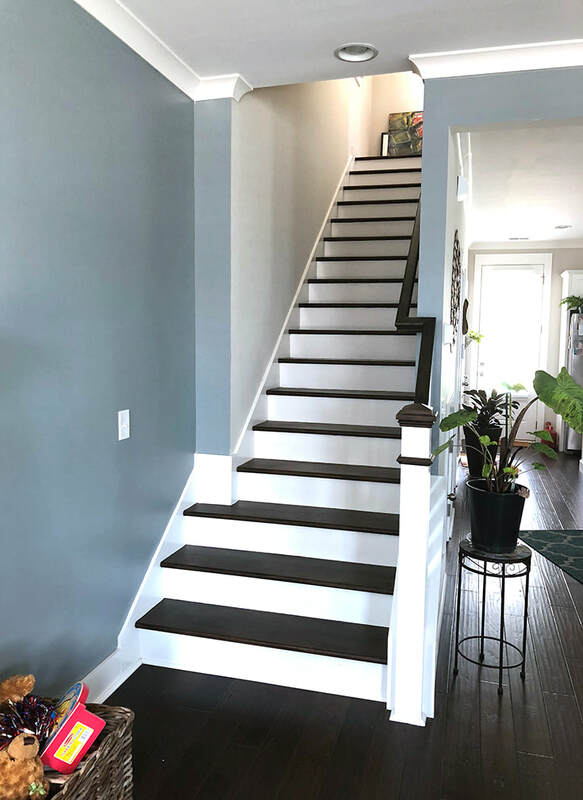 Both my first faux finish, and my first stairway mural! I loved the challenge. This required layers and layers of semi-transparent paint, adding marbled cracks with a feather, and then sealing in a gloss varnish to finish. 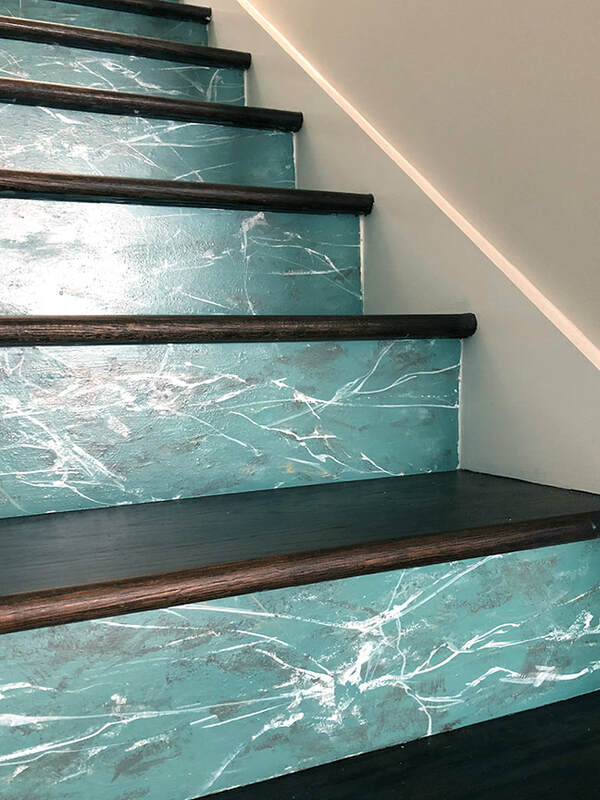 We think it added a sophisticated touch to a previously boring stairway!